eep in the South Pacific, hundreds of miles from the Philippines, winds gathered force. Soon, they would bear down on a nation that had spent years trying to dig itself out from a reputation of corruption, job loss and graft. In early November, the Philippines had been riding a wave of relative good fortune. Its economy was surging as other Asian countries foundered. For five straight quarters, the country’s gross domestic product increased by more than 7 percent, at times even eclipsing China’s powerhouse economic growth. Fitch Ratings even moved the debt rating to investment grade out of “junk” four years ahead of the country’s schedule. The storm, known as Yolanda in the Philippines, lashed the country’s central islands with winds of 195 mph, making it among the most powerful storms ever to make landfall. Seas swelled into coastal towns and gusts snapped palm trees. Communities crumbled under fierce, pounding rain and wind. At least 6,200 Filipinos died, with scores still missing. 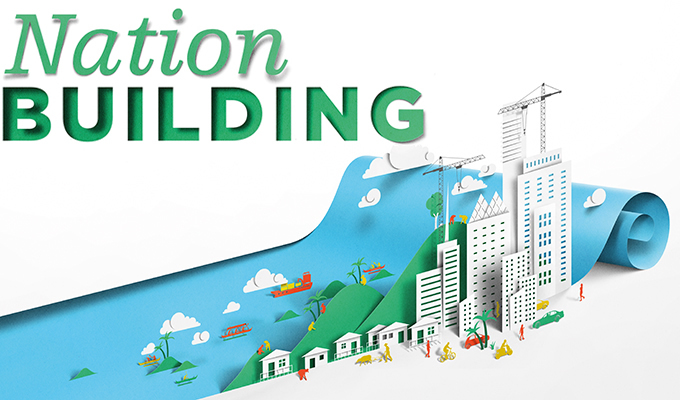 By the government’s estimate, rebuilding could cost $8.2 billion. While the nation recovers and Filipinos put their shattered lives back together, the task of economic repair is in the hands of Cesar Purisima, the country’s finance secretary. Part of this task is to reassure outsiders, particularly investors, that the Philippines remains open for business. “The damage was quite substantial, but the area will recover, the economy will recover,” Purisima said. "The only way to change things is to join in. To try to change it from the outside would amount to a revolution — and you wouldn’t want that. So when the president asked me to join his cabinet, I was glad to do it." By some accounts, the Philippines might indeed be on the right track, as global observers take notice of the work done by Purisima at the behest of the country’s reform-minded president, Benigno Aquino III, the son of iconic former President Corazon Aquino. The younger Aquino is spreading a mantra of “good governance” across the archipelago nation of 100 million people. Soon after the Fitch Ratings grade, Standard & Poor’s also upgraded the country’s status. While Moody’s did not follow suit, the firm did predict that the Philippines would continue to outperform its neighbors and remain one of the world’s fastest-growing economies. It’s the kind of affirmation he hopes will convince the rest of the world that the Philippines means business as it works to further stabilize its economy. Purisima was honored this past April with a Northwestern Alumni Association Alumni Merit Award for distinguished achievement. For decades, economic and political stability had been elusive. When the 20-year presidency of Ferdinand Marcos collapsed under the weight of the “People Power” rebellion in 1986, Marcos left behind a country with a broken political system, a plundered treasury and a badly damaged economy — the Philippine GDP had contracted by more than 7 percent in his final two years in power. Scandals ensnared successive post-Marcos administrations and continued political instability made it difficult to sustain robust economic growth. In 2004, President Gloria Macapagal-Arroyo persuaded Purisima, then the top executive of one of the region’s largest accounting firms, to join her administration. Arroyo named him secretary of trade and industry; a year later, she appointed him to be her finance secretary. For Purisima, it was a tumultuous first foray into government service as Arroyo became engulfed in allegations of corruption and graft. She was accused of election fraud. The stock market and Philippine currency plunged. Five months into his new post, Purisima resigned along with nine other Cabinet ministers. 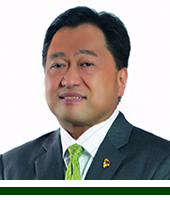 Purisima went into business of his own, but kept his foot in politics. When Benigno Aquino III ran for president on a platform of government reform, Purisima pledged support. When Aquino won in 2010, the new president asked Purisima to join his Cabinet to resume attacking the country’s economic woes. In his second stint as finance secretary, Purisima has cut dependence on foreign borrowing and vowed to raise more cash from government bonds. To boost the national treasury, he pushed for higher taxes on cigarettes and alcohol. And he directed the Bureau of Internal Revenue to go after tax dodgers. This has led to the agency filing scores of tax-evasion complaints, including a $48.8 million case against the boxer Manny Pacquiao, one of the world’s most famous Filipinos. A stronger economy would mean more jobs, and perhaps stem the drain of skilled and educated workers that has plagued the Philippines over the years. In 2012, more than 1.8 million Filipinos went abroad to work as nannies, housekeepers, nurses, engineers and laborers, among other positions, according to the Philippine Overseas Employment Administration. More than half went to the Middle East. Purisima, who grew up in General Santos City on the island of Mindanao, didn’t follow that route. When he left his country for the first time, to attend Kellogg, he always knew he would return. His father was a self-made man, he said, who financed his own education by working in a toll booth. Fidel Purisima would eventually earn a law degree and rise to become a justice of the nation’s Supreme Court. “He taught me the value of investing in one’s self, the value of taking advantage of opportunities that come your way and the value of working with people,” the younger Purisima said of his father, who died last September at age 82. He thought of following his father into a law career, but the younger Purisima had a penchant for numbers, not words. After earning an accounting degree and serving a short stint at Sycip, Gorres Velayo & Co., one of Manila’s top accounting firms, Purisima traveled to the United States for a business degree. At 21, it would be his first journey outside his native islands. “It really opened my eyes to new possibilities, to a whole new world that I never knew existed,” he said. He saw a flourishing tourism industry in Hawaii. He experienced the magic of Disneyland. He marveled at the skyscrapers and bustle of New York City. In Chicago and at Kellogg, he learned about how America conducts business. After returning home, he resumed work at SGV & Co. and rose quickly. In 1997, the firm appointed him managing partner. "If people believe things can change for the better, they will. And Filipinos are beginning to believe again, to hope again." Subsequent trips outside the Philippines allowed him to imagine all the possibilities for his own country, so lacking in the amenities necessary to spur economic progress. Even now, the country’s main airport terminal remains woefully outdated. Public transit is inadequate. And the country’s power grid, beset with frequent blackouts and brownouts, also needs upgrades. Improvements to the country’s infrastructure, as well as spending on education and health care, are key to the government’s economic program. In 2013, infrastructure spending was up by 40 percent from the year before, representing a fifth of the national budget. By 2016, it is expected to account for a quarter of the country’s fiscal outlays. That hope took a beating with Haiyan. Purisima is trying to ensure it wasn’t a fatal one. Before Haiyan, some economists predicted the Philippines would have ended the year with an annual 7.3 percent rise in GDP, but Haiyan lowered expectations to as low as 6.5 percent — a setback from expectations but a still-healthy spurt for an emerging economy ranked 40th in the world in terms of GDP. 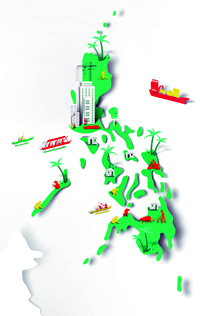 “The Philippines continues to outperform and will remain one of the world’s fastest-growing economies in 2014. Confidence is high, and investment, both public and private, is driving the economy forward,” Moody’s said in a report issued in December. Purisima has called for an international funding mechanism so countries like his get the necessary aid to recover from intense weather that he blames on global warming. The insurance fund would be funded based on each country’s carbon footprint. The government is also looking into establishing a “climate resiliency fund” to provide localities with the money to pay for flood-control projects, reinforce buildings, strengthen public infrastructure and establish evacuation systems. “We’re now really seeing the effects of global warming around the world,” Purisima said. It’s about putting the country on solid footing, so no single event — from natural forces or otherwise — will prove as catastrophic to the Philippine economy as Haiyan was to the islands themselves.